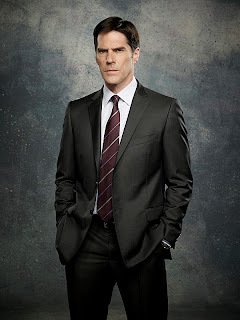 Criminal Minds: Thomas Gibson, Aaron Hotchner on Criminal Minds, celebrates his birthday on Wednesday, July 3rd. I've loved you since watching "Darma & Greg" & I love you even more on Criminal Minds! You're a fantastic actor & have a feeling you're an even more fantastic person! I wish you all the best for a wonderful birthday...hope your wish comes true! Thomas, i wish you all the best for a wonderful birthday and a happy birthday for your son Travis too. You're great actor and a good person. Happy Birthday Thomas. Have a wonderful fun filled day. All the best to you and your family. Happy Birthday! ! Have a wonderful day!! You make the show!!! always look at the bright side of the things. And if they have none? Then rubs the dark side until it shines. I wish you a wonderful birthday with luck and joy, health, and primarily with the whole love of your family. And... the same as every year... happy birthday to us. Happy Birthday Thomas! Your a huge talent, i love the way you play your character on Criminal Minds. Just curious, is it hard not to smile so much on the show? Love the dimples too! Wishing you health, happiness and a wonderful birthday that you deserve! Wishing you the best of everything in your life. You are a fantastic actor! Love you, your Twin. Wishing you a Happy Birthday and a wonderful year. Love your smile! Happy birthday!! Hope you have a great day. I hope your special day is awesome and blessed! You are an amazing actor and you are such a joy to watch! As a former actress, singer, dancer, and comic I KNOW you have mastered your craft! I pray you will be happy and healthy for years to come and that you and the "team" will entertain us for a long, long time! May all your wishes come true!! you have for us something special because it’s your birthday today. That’s completely nonsense; we receive something special from you every day. Hoping that your day will be as special as you are. Wishing you all the best for your birthday! Thomas, May this birthday bring you good luck and fortune. May it bring you oodles of true love and friendship. Have an amazing birthday. Happy Birthday! Thomas, Happy, Happy Birthday!!!! I hope you have a WONDERFUL Birthday!!!!! Enjoy your VERY, SPECIAL Day !!!!!!!!!!!! 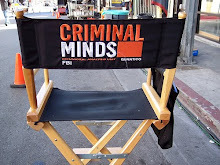 I LOVE you and the Team on Criminal Minds!!!!!!!! Happy birthday from all the fans at Ickworth Park Primary School in Suffolk, UK. We love the show - keep going please! Happy birthday Thomas! I hope you have a wonderful day. I miss you feet tweets! A very happy birthday, Thomas. Have a wonderful day with your family! All the best for the year ahead - may it be filled with joy, health, happiness with your family, and of course tons of success with CM! I also have loved you since Dharma & Greg, and especially on Criminal Minds. You are definitely a fantastic and versatile actor, and I'm sure you are just as fantastic a person. I wish you a very happy birthday and hope you receive everything you want and ask for on this special day. Again, HAPPY BIRTHDAY! A very happy birthday from Ireland Thomas! Hope u have a great day with your family. You are fantastic on Criminal Minds - your nuanced acting as Hotch holds the whole show together. Well done on renewal for season 9! Thomas, your eyes and your smile are like the sun in my life. I wish you a wonderful birthday. Hi Thomas, I hope you had a perfect birthday. I look forward to seeing your next performance. Happy Birthday, Hope you had a terrific day. Criminal Minds is my favorite show. I try not to miss it if I can. You character has been through a lot and you have played the part very well! I wish you only the best and health to you and your family,and may all your wishes come true ! !